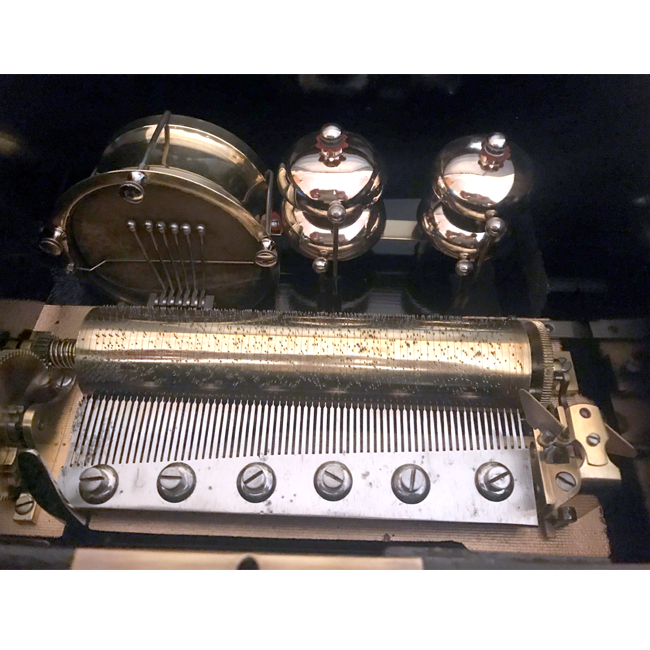 This Antiue Music Box was made in Geneva Switzerland Circa 1885 by the firm "A. Jaccard" . 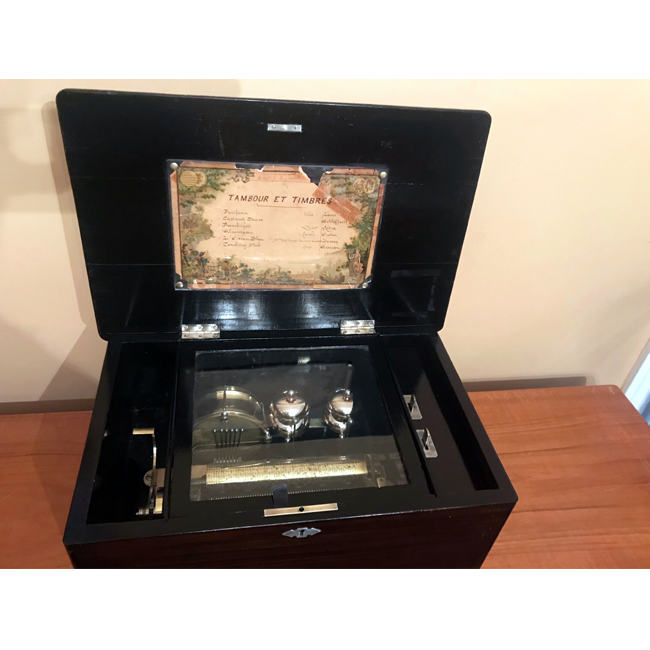 This Music Box plays 6 Airs listed on it's original Tune Label and is accompanied by A Drum and 4 Tuned Bells. The Sound is beautiful and very nicely complemented by the Drum and Bells. Considered to be a smaller type Orchestral Music Box of very nice quality. 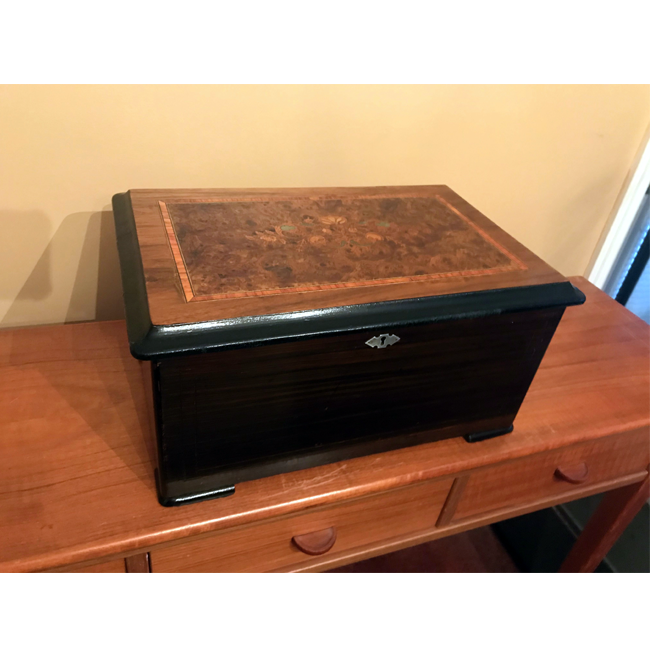 The Case is of Burl-wood and Walnut, Tulip wood Inlay Border and an unusual Inlay and Marquetry to the Lid Center. Case Measurements : 17" x 11-1/2" x 9-1/2"